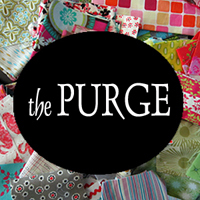 Have you heard about "The Purge" over at Stitched in Color? 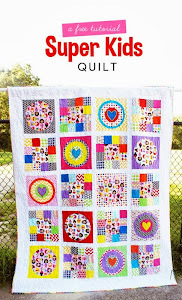 Rachel is encouraging bloggers to use up those un-loved fabric from our stash. I love this idea of a "purge" and want to participate. Packing all of my fabric for a cross-country move this past February was a real eye-opener. 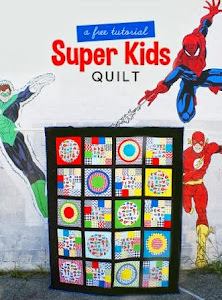 I gave lots of things away and tried to keep only what I thought I would use, but there is quite a bit of fabrics that aren't exactly super exciting to me anymore. One category of fabric that is difficult for me to use is home-dec weight fabrics. I never put the stuff in quilts, and never buy more than a yard, so they are kind of hanging around, waiting to be made into bags/purses. So this is where I am starting with my purge: using up the heavier weight fabrics from my stash. I was flattered that she still had it and was using it, but I knew she was due for something new. I had her pick through a bunch of my home dec fabrics and she chose a nice Echino fabric. I definitely don't think this fabric exactly qualifies as an "unloved" fabric, but it definitely was overdue to be used- I am sure I've had it for years. Melissa chose the free Wasp Bag pattern and I had this whipped up in about two days. It was an easy project. I think the big horned sheep in the corner of the bag is hilarious! (It was also funny that I scared a baby deer out of my yard when I walked to our fence to take this picture). I love your wasp bag - I've made a couple in upholstery fabrics! BTW did you really describe those fabulous chairs as unloved???? These are lovely bags! I love the girly deer print. I just downloaded the wasp bag pattern to make one. I have to get back to sewing soon!